Timelessly romantic photos in Paris are always doable: even on a rain-soaked morning. ☔Thanks to Jose for entrusting us that he could still pull off his surprise proposal to Daniela (violinist included! ), during one of the rainiest weeks in Paris history! A few words from Jose’s perspective: “Rain or shine!! I booked Lindsey and her team for a surprise Paris proposal. I am speechless with the work done. They were professional during the entire process; from the initial communication to the delivery of our perfect photos. In addition, the team is extremely flexible and adaptable. The weather was not the best in Paris and I was getting worried it would not turn out well. Lindsey was comforting and reassured me all would be perfect– and the umbrella and the rain made our shots even more romantic and charming. Because of her photography talent, I’m so thankful for the unexpected rain and cold! 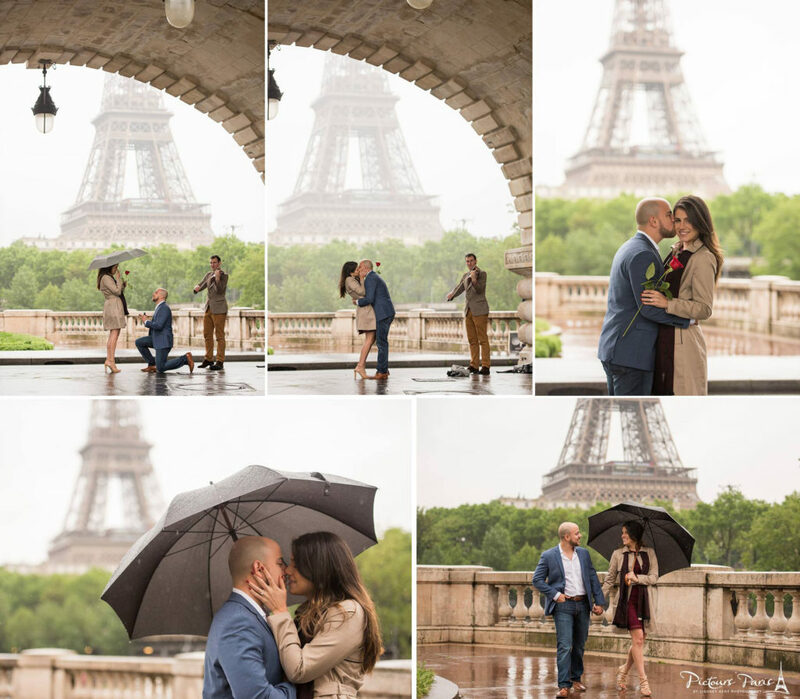 If you are considering an engagement or proposal shoot in Paris, you HAVE TO book Lindsey and Pictours Paris! To say it was a rainy May was a massive understatement. Paris – and much of France – is under water right now, and we can only hope that the high water levels recede soon so that the damage to homes, businesses and infrastructures can begin to be restored.